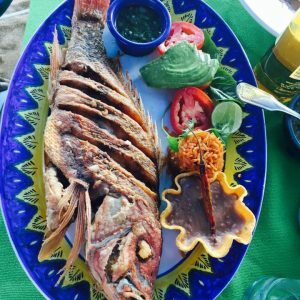 While on vacation in Los Cabos and enjoying your Baja Sur Vacation Rental, we recommend three noteworthy restaurants to add to your bucket list. 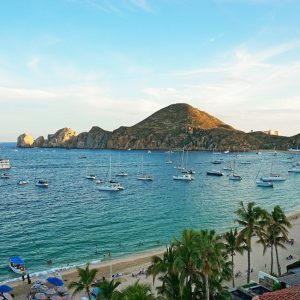 Whether you enjoy a lively party atmosphere, exquisite baja seafood cuisine, or craft beer & sports with the best views of the Arch, here are some must visit places while in Cabo San Lucas on Medano beach. 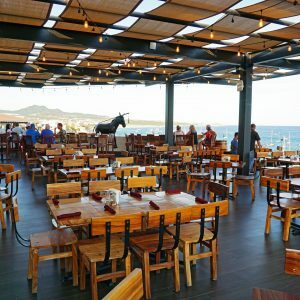 Baja Brewing is the original craft beer of Los Cabos and a favorite spot for beer tasting flights and good simple food. 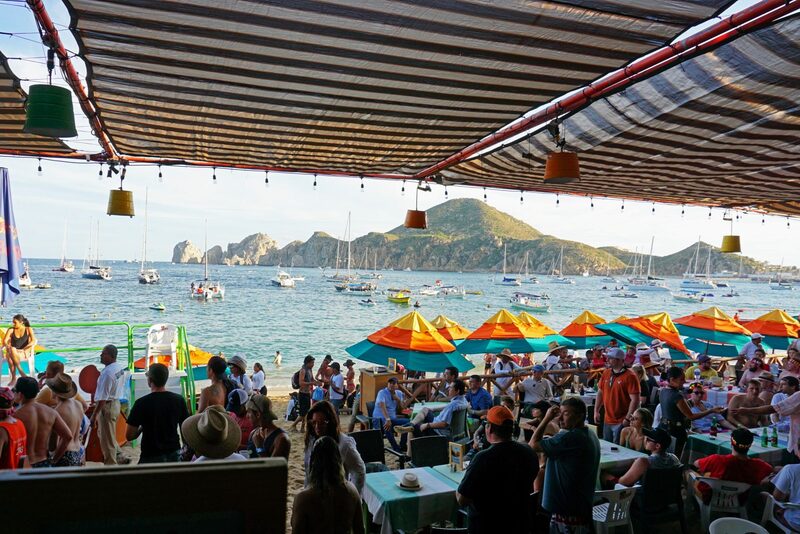 Situated on the rooftop terrace of the Cabo Villas Beach Resort & Spa, Baja Brewing Co. offers beautiful sunset views of the Los Arcos rock formations and harbor. They offer a large variety menu of delicious pub and international fare. 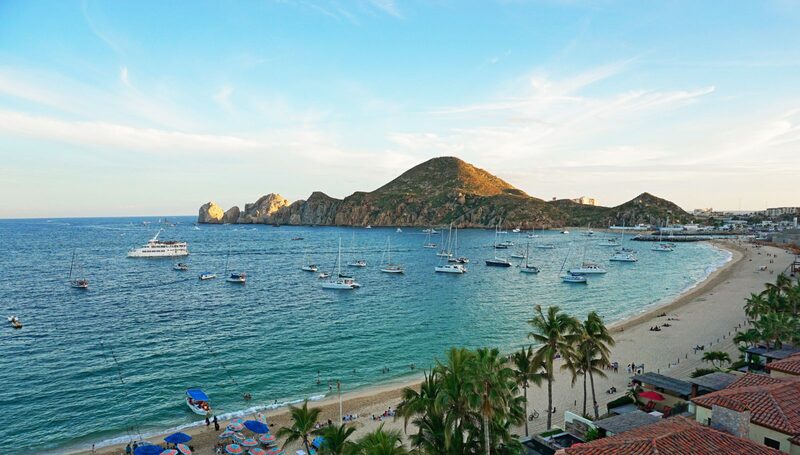 They entertain you with live music, sports events, and a private terrace if you want a more romantic setting overlooking a spectacular view of Cabo San Lucas. They are open daily for breakfast, lunch and dinner. 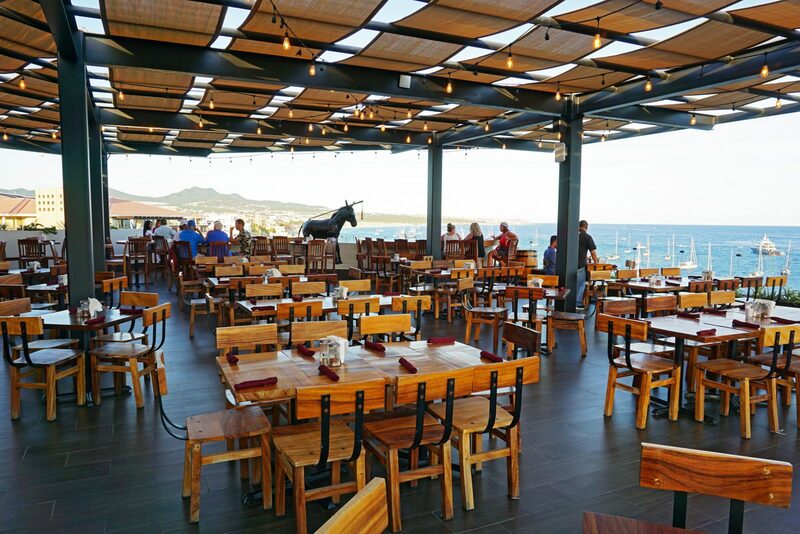 Situated on Medano Beach, the Office is a beachfront restaurant with tables right in the sand. This family-friendly place fills up fast, so reservations are strongly suggested. 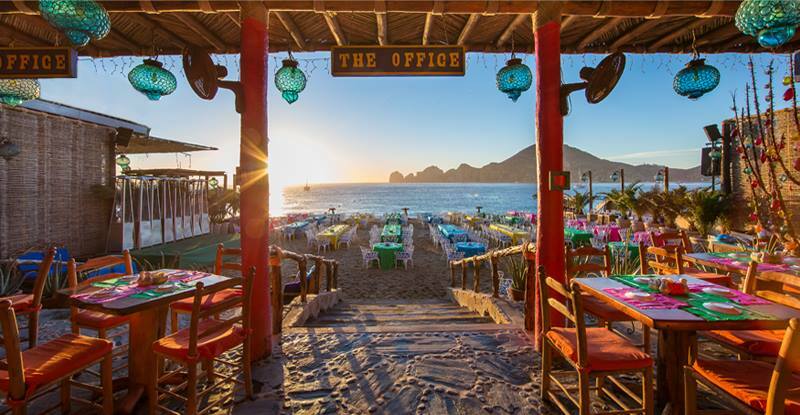 The Office was originally founded in the early 1970’s when Cabo San Lucas was a small fishing town with few visitors. 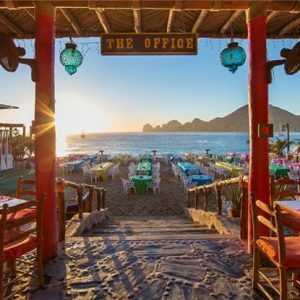 At that time, The Office was a modest Palapa that featured a small kitchen and unassuming bar. 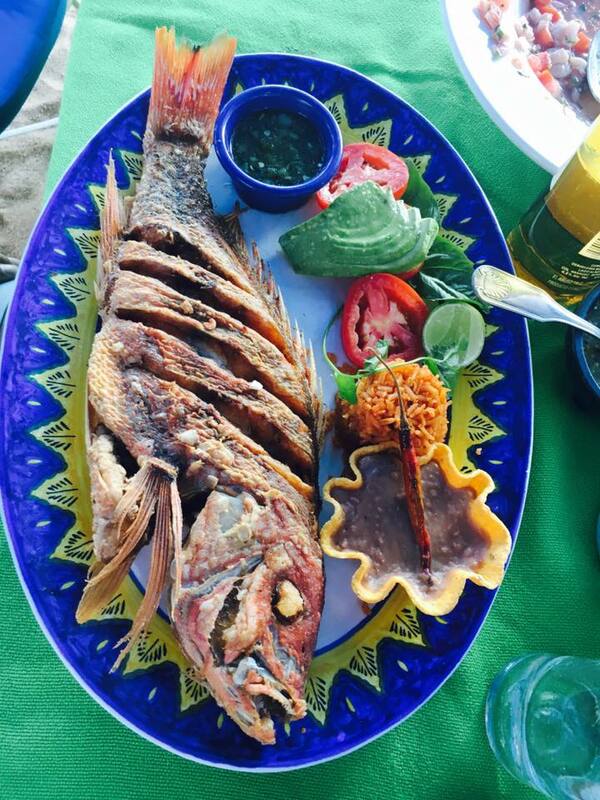 Now it has become one of Cabo’s most recognized and famous restaurant with top quality cuisine. This is a must visit while enjoying your Cabo San Lucas vacation home rental. Tuesday – Luna Itzel. The expressive voice of the contemporary musical scene in México. Thursday – Fiesta Mexicana. Enjoy Mexican traditions and folklore, in a night full of joy, contests, piñatas dances, etc. Friday – Live Fusion. This band presents a harmonious blend of rhythms both acoustic and electronic. Saturday – Kimbara. Latin percussion, electric and acoustic guitars and vocalists. Sunday – Pura Vida. Transforming old songs into thrilling new versions with a very original signature sound. 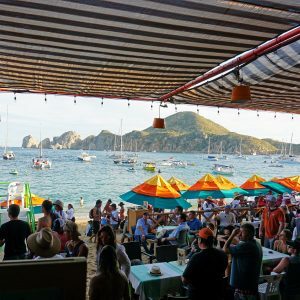 Also located directly on Medano Beach and next to the Office on the Beach, Mango Deck boasts an unbeatable view of the famous Los Cabos Arch. 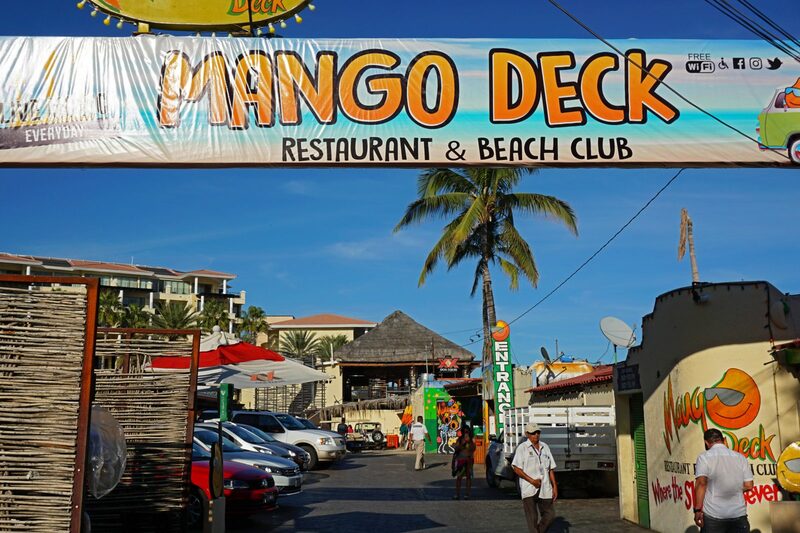 Live entertainment is part of what makes Mango Deck a favorite among locals and visitors. During the day, there is plenty of lively entertainment and interactive games on the stage to draw in the crowds. 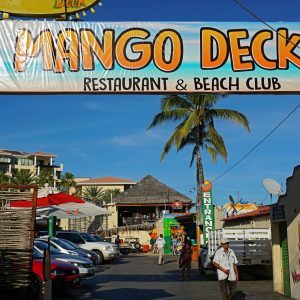 Mango Deck beach club is also open early for breakfast 7 days a week so you can come and enjoy a variety of different omelets, pancakes, Mexican specialties, breakfast burritos, and fresh fruit plates. There is also a weekly all-you-can-eat Sunday buffet from 8 a.m. until 1 p.m. This is another must visit while enjoying your Cabo San Lucas vacation home rental.